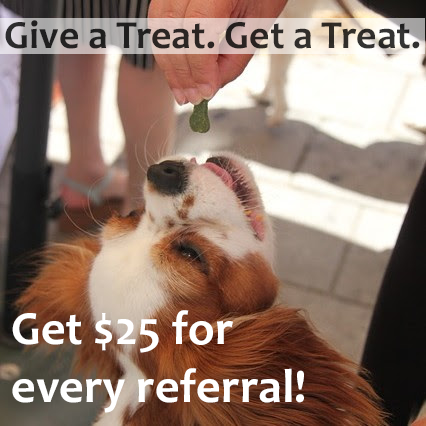 Refer a friend for regular dog walking service and you and your friend each get $25! Tell your friends about Windy City Paws. Your friend becomes a regular client. You and your friend get $25! *Refer a friend with regular dog walking needs (3+ walks/week) and you and your friend each get $25 after their first month of service.